Hitler's bunker at his Rastenburg Headquarters. 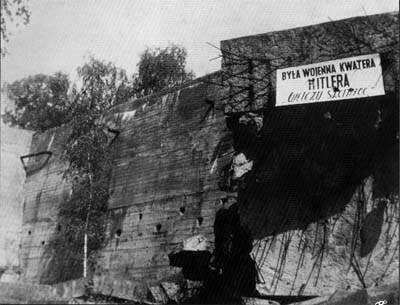 The sign reads: “Former war quarters of Hitler, “The Wolf's lair”. 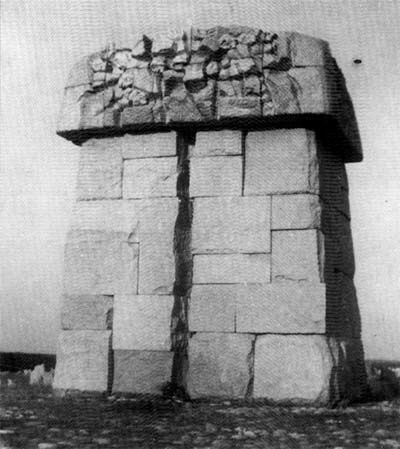 The mausoleum-monument ot the Treblinka II extermination camp. 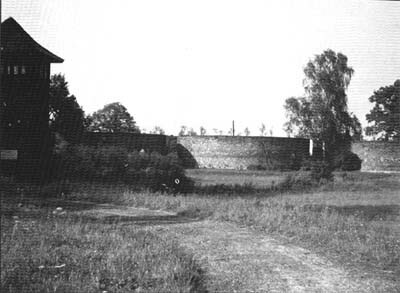 View of the southern perimeter of Kläranlage / sewage treatment station II from the path coming from Krematorien II and III and leading, at the next interseccion, on the right to the Zentral Sauna, Kanada II and Krematorien IV and V, and straight on to Bunker 2. 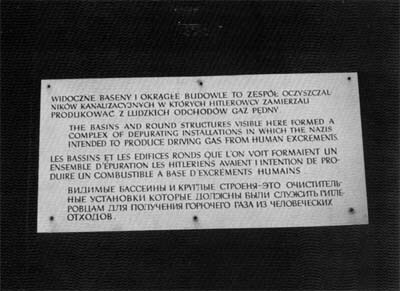 In the middle ground, from right to left, biological purification basins I, II and III, which were never finished and remain as they were. The watchtower on the left was built after the sewage treatment plant. From right to left, purification tanks II, III and IV of “Kläranlage II”. 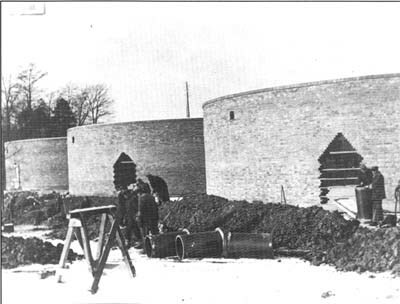 Planned tor the oxygenation of organic compounds in solution by aeration through streaming dirty water through a rotary distributor on to a bacterial bed of graded stones (5 to 10cm diameter), these tanks never came into service and were left as they they appear on this photograph of winter 1942-43. Even if they had been completed, it would still have been several months before the bacterial beds developed. 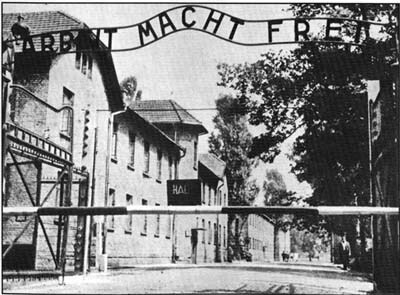 Of the eleven workers on the photograph, only two are wearing the prisoners' zebra suits. The others are outside civilian workers.